Poultry plays a vital role within any menu, being both profitable and popular. Yorkshire Dales Meat Company can provide a range of quality poultry products to meet your needs. For Sunday Lunches, our Chicken Supremes and Corn-Fed Supremes are a popular choice, offering a cost-effective way to deliver a substantial chicken portion to diners. 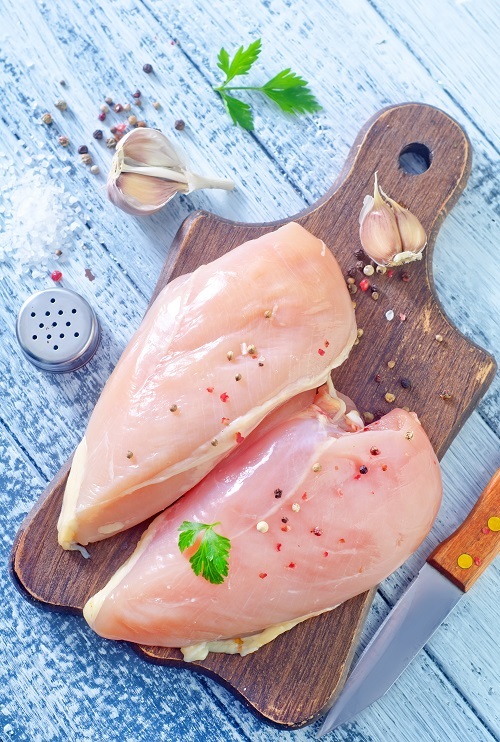 Our chicken breasts are offered either as singles, or as a 5kg tub, again offering great value to restaurants. In addition to traditional poultry products, YDM can also supply a quality range of imported poultry including Corn-fed chickens, Black leg chicken, Poussin and Ducks from France. We proudly supply English barn reared Turkeys including bronze sourced from local suppliers, specially selected for their consistency in size and quality. Whole ducks are available, including dry wax plucked, Barbary and the quality Gressingham. Please see below for a selection of the poultry products we offer. Birds such as Grouse and Pigeon are listed under the Game section. If you are looking for something which isn’t on this list, please get in touch with us.